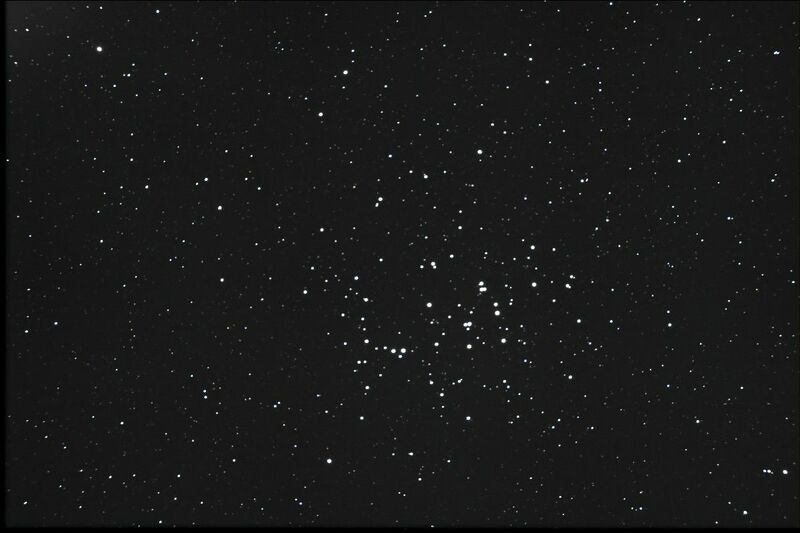 Located 600 light-years away in the constellation of Cancer, this beautiful open cluster is easy to spot with the naked eye. With an apparent size equivalent to three times that of a Full Moon, it intrigued the ancient Greeks who saw two donkeys feeding in a manger. 200 to 350 young stars formed in the same molecular cloud over 700 million years ago can be seen in this cluster using a telescope. The age and direction of movement of M44 coincides with those of the Hyades cluster, although it is hundreds of light-years away. Scientists believe they were formed together. They also share identical star populations with a few red giants and white dwarves.